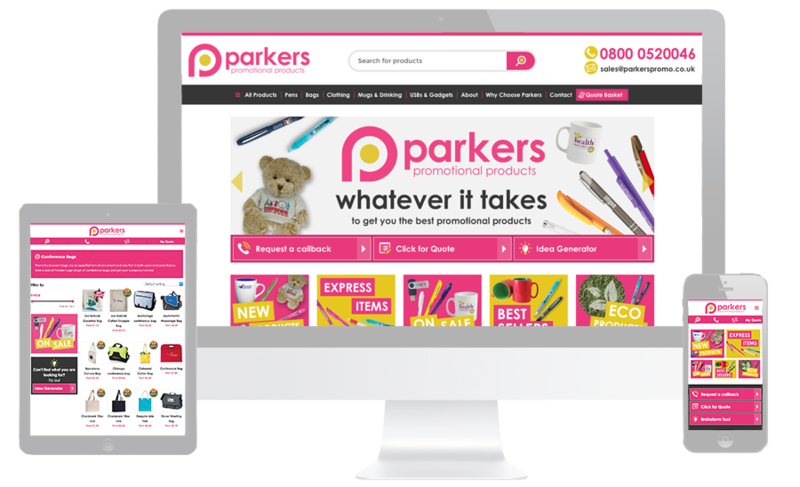 Parkers Promotional Products supply bespoke promotional products ranging from pens to clothing, keyrings to chocolate, and everything in-between. Parkers wanted a website to showcase their massive product catalogue and take online enquiries, the brief was to create a website that is better than the competition! We achieved one of our most complex builds on the Parkers project, whilst maintaining the intuitive front end that the client required. With built in predictive search, quotation functionality, product filters, and a system designed to showcase over 1000 products.